Milan in the springtime is quite lovely. Narrow yellow trams rattle through the streets, purple wisteria elegantly drapes tall buildings and the population is moving about, seemingly with a general air of delight associated with the idea that the weather merits a new outfit. 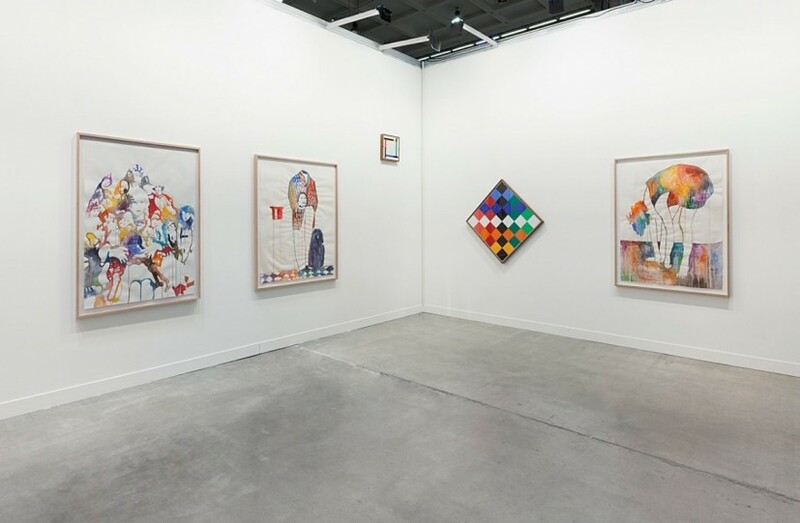 miart, the Milan Art Fair which opened yesterday, is celebrating its 25th year. Injected with a new energy since 2012 when Vincenzo de Bellis, Director of the non-profit Peep-Hole gallery, took over the direction, this year 150 galleries are taking part, with a much-vaunted 50% international participation. Under a little analysis the international element is made up of a strong representation of London galleries, a sprinkling from Berlin, Amsterdam, Brussels and a handful from New York and Los Angeles. 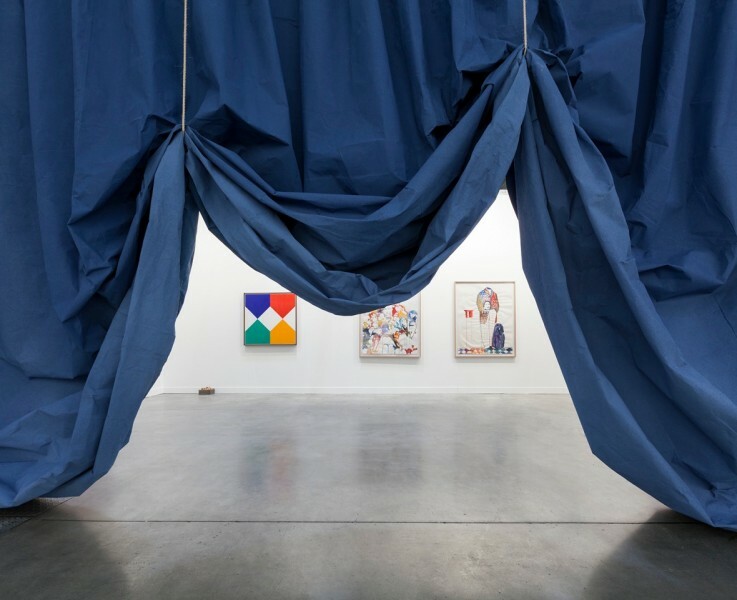 But the Italian bias is one of the great attractions: the section devoted to established galleries, approximately a third of the fair, is an immersion course in 20th century Italian masters – Pomodoro, Fontana and Castellani – as well as Arte Povera star Kounellis. The work is generally domestic in scale – reflecting perhaps, the number of highly knowledgeable and serious local collectors. The fair becomes particularly interesting when you come to the Emerging and Then/Now sections. These have been curated with great care. The Emerging section features small galleries all present by invitation of Andrew Bonacina, Chief Curator at the Hepworth, Wakefield. The fair is generous in supporting these galleries to come to Milan and inject energy into the event and here you will find the indefatigable Henry Kinman, showing new work by Richard Gasper including a bronze and jesmonite sculpture, a tower of cast parmesan cheese. Also here are the team from Supplement gallery, who are taking over the running of the Sunday Art Fair in October this year. Then/Now is a section that has been curated by four different international gallery curators who have selected pairs of galleries and pairs of artists – one living one not, to share nine stands in the centre of the fair. Thus Sadie Coles has come with a strong group of works by Paloma Varga Weisz, alongside a group of pale Giorgio Morandi paintings from Galleria d’Arte Maggiore in Bologna. The Van Doren Waxter Gallery in New York is enjoying a similar blind date with Glasgow’s Modern Institute, bringing together works by Alan Shields with a really noteworthy group of new works by Hayley Tompkins. Pilar Corrias is here sharing a space with Milan’s own Lorenzelli Arte – the space is announced with an extravagant festoon of deep blue swagging curtain by Ulla von Brandenburg, the threshold to a two-person display including three works by Bauhaus master Max Bill. All in all this is a very clever way to give the fair a distinctive profile in the increasingly crowded calendar. 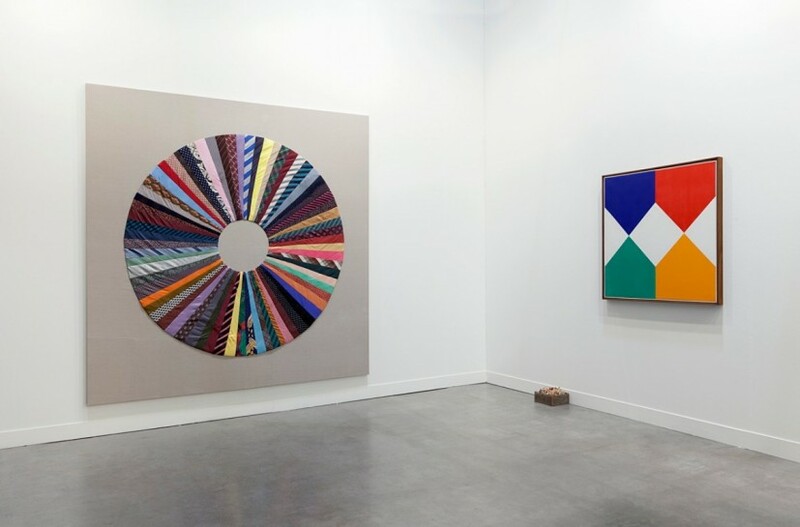 Other highlights of the fair include a strong group of paintings by Richard Aldrich with Brussels-based gallery Dependence and a stunning Pae White tapestry with Kaufmann Repetto. But one of the key things to say here is how manageable the fair is for the visitor. Substantial but not overwhelming in scale, with a relaxed vibe and all the elegance you would expect of Italy’s second city. With the new Prada Foundation opening next month, and the HangarBicocca programme going from strength to strength – it would be clever to get this in the diary now for next year.